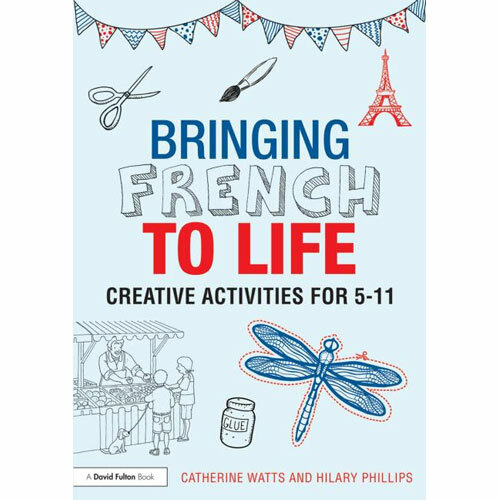 Bringing French to Life is a photocopiable resource that provides a cross-curricular approach to teaching French in primary schools, combining art, design and foreign languages with various aspects of the National Curriculum such as Literacy, Numeracy and PE. 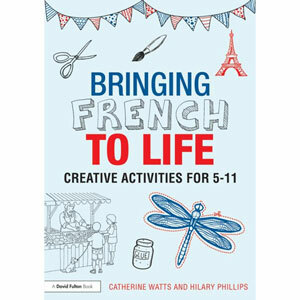 This unique practical resource comprises an engaging storyline about a day in the life of two French children and gives an opportunity for learners to re-enact their day, using finger puppets, crafts and exciting games to practise new language. Each of the 14 sections begins with a short accessible dialogue in French and is followed by suggestions for using the new vocabulary in pairs, small groups or as a whole class. Bienvenue à la famille Moreau ! Welcome to the family Moreau! Joyeux anniversaire ! Happy birthday! Quel temps fait-il ? What’s the weather like? The main story is accompanied by fun craft activities linked to the story (one for each section) for children to create in class using the templates and instructions provided. A wide range of further activities follows, consisting of lively games, songs and opportunities to communicate simple ideas. Language extensions are suggested, focussing on imaginative writing and reading ideas linked to the theme of each section. Language extension activities that extend the target language in a relevant context through a variety of methods. Bringing French to Life has been developed for use with children aged 5 - 11 years (Key Stage 1 and Key Stage 2) who are learning French as beginners. There is a good level of support for the non-specialist teacher.